Schwedenbitter also known as Swedish Bitters can be traced back hundreds of years. In-fact the elixir has been found in the pharmacopeias since the Middle Ages with name variations of: Hierapicra composita, Tinctura aloes composita, and Species ad longam vitam. 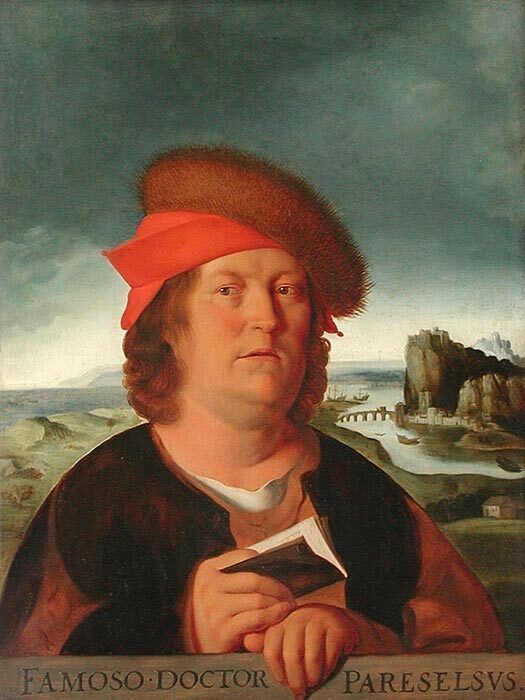 Paracelsus (1493-1541) also known as the “Luther of Medicine” developed Elixir Ad Longam Vitam which translates into “medicine for a long life”. The original elixir was formulated by Paracelsus of Swiss - German origin, but was left behind in an old manuscript that had been found 200 years later. The Elixir Ad Longam Vitam is formulated to harmonize all major internal organ functions and benefit the entire body. Maria Treben found her way to this manuscript of healing herbs “Schwedenbitter” some 250 years later. Maria Treben suffered typhoid fever until a woman brought her a small bottle containing a dark brown color. “It sounds almost like a fairy tale, but it is true. As a refugee from the German speaking area of Czechoslovakia, I became ill with typhoid fever in a camp in Bavaria, caused by contaminated meat and, through it, came jaundice and an obstruction in the intestines. I spent more than 6 months in hospital and when my husband got my mother, my mother-in-law, our child and myself to Austria, I was a young but sick woman. At night I was hit by terrible pain that shot through my body like a sword. In these moments I could neither sit nor stand, walk nor lie down; at the same time I vomited and had diarrhea. I was a helpless bundle of misery. These were after pains of the typhoid fever which sometimes can go on for years, as the doctor said. One day a woman brought me a small bottle containing a dark brown, strong smelling liquid. She had heard of my illness and wanted to help. The Swedish Bitter had relieved her of a serious complaint. Accompanying it was a transcript of an “old manuscript” in which was explained, in 46 points, how these drops heal every illness. The recipe came from the writings of a well know Swedish physician. As stated, all members of his family had reached an unusually old age. These drops according to point 43 heal “plague boils and swellings even if already in the throat”. I put the bottle in the medicine chest. I just did not believe that these modest drops could give me back my health, since the doctor could not even help me. Soon I changed my mind. As I sat in front of a large basket of ripe pears which needed to be used up straight away, I had another attack. As I had been told that these Swedish drops could be used externally as well, I did not hesitate for long and applied them as a compress on the abdomen, put a small plastic bag over the compress and then my girdle and continued my work. A wonderful warm feeling spread through my body. Suddenly, it felt as if with one movement of the hand, everything morbid in my body was pulled out. Preserving the history of old remedies. 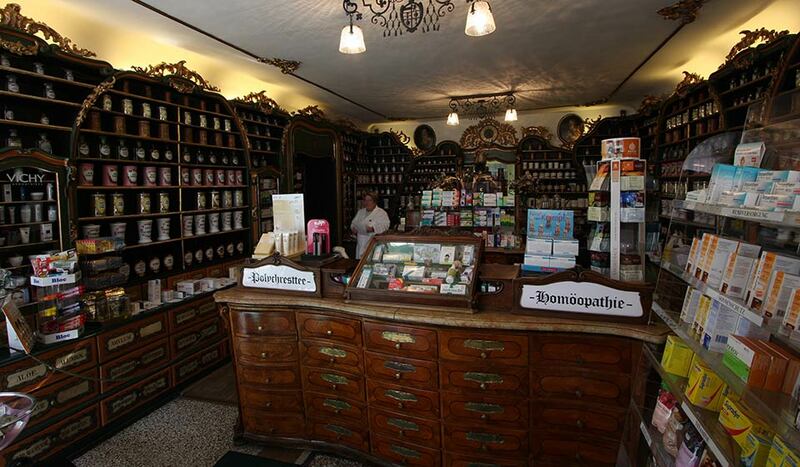 Hofapotheke is the oldest Apothecary in Austria Salzburg region in the famous area of Mozart's Birth. 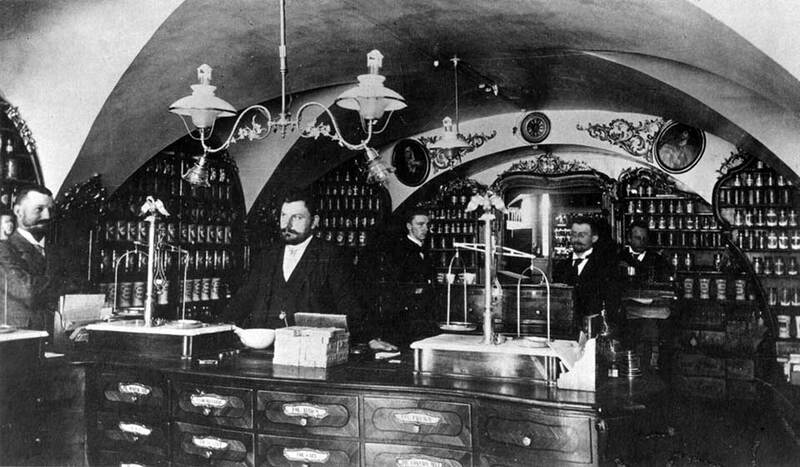 The original Hofapotheke was moved to the Old Market from Getreidegasse No 9. The first owner Chunrad Froeschlmoser held the Apothecary from 1588 - 1591.